Sissinghurst Castle Garden is one of the great gardens of England; a 20th century garden designed by Vita Sackville-West around an old Elizabethan manor. 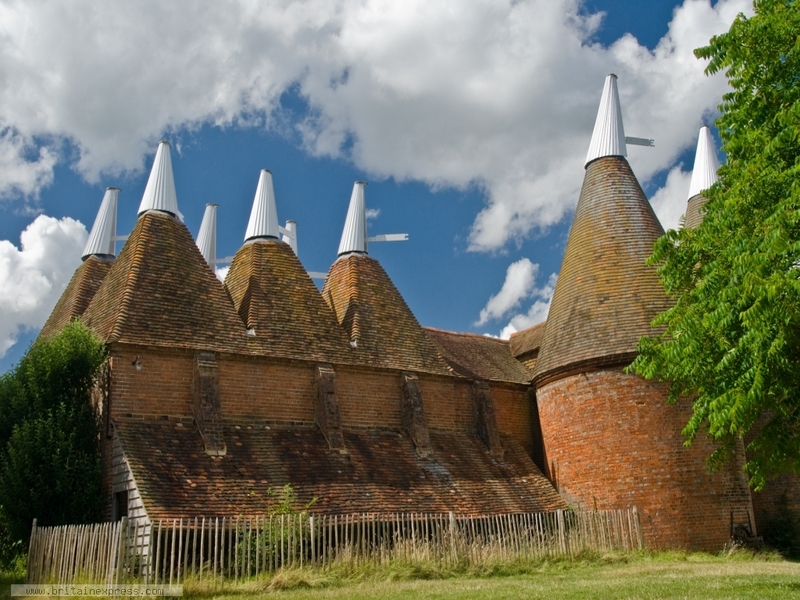 The gardens were terrific - and very crowded - but when I was leaving I saw this set of oast houses near the visitor centre. It really says a lot about the history of Kent as a a centre for hop farming. You can see oasts everywhere, but none more spectacular than this group at Sissinghurst.